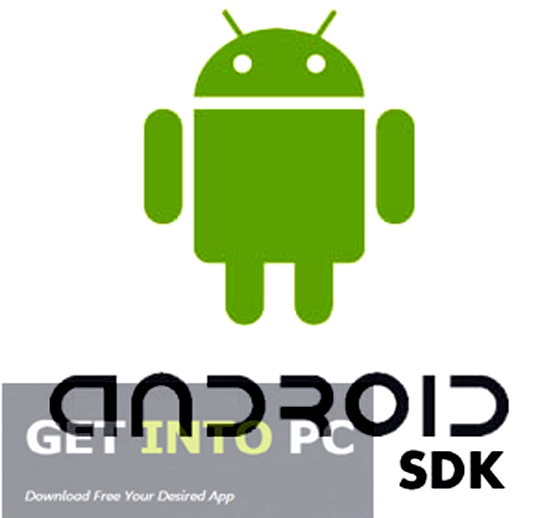 Android SDK Free Download Latest Version Setup for Windows. 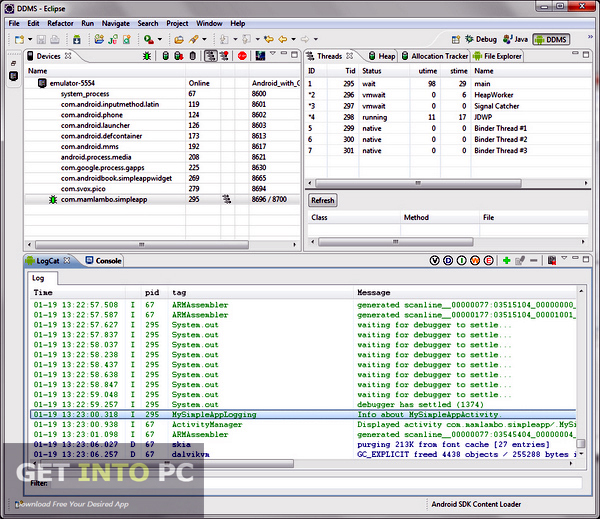 It is full offline installer standalone setup of Android SDK for 32 And 64 Bit. Android is a mobile operating system that has been developed by Google and is based on Linux kernel. Android has been developed basically for touch screen mobile phones. Android SDK is a handy and reliable software development kit which has been distributed by Google in order to offer the developers a complete tool set for developing Android applications. 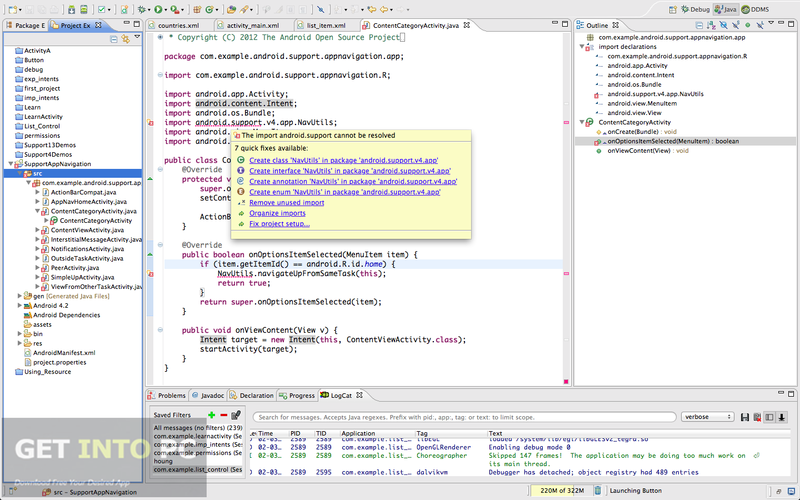 With Android SDK users can create awesome Android application when it is used with Eclipse and JDK i.e. Java Development Kit. You can also download JDK 1.6. Android SDK is bundled with huge set of libraries plus development tools in order to help the programmers building and testing applications. For building Android application you need to have Eclipse IDE and JDK installed into your system along with Android SDK as it contains only the basic utilities. 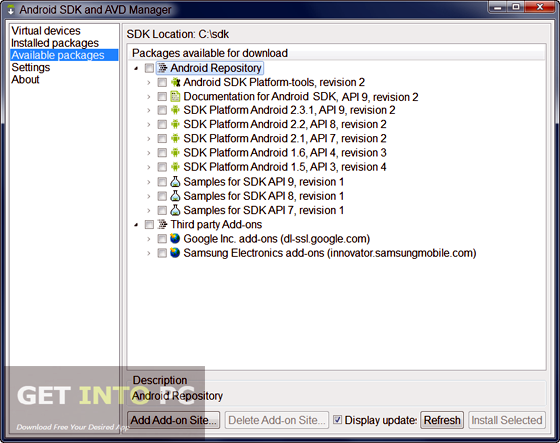 It does not contain any Android platform or third party component and in order to accommodate on your system you need to start SDK Manager. 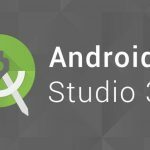 Android SDK supports all Android versions which ranges from Android 1.1 to the most latest release which means developers can develop android applications for older devices and can also test their compatibility. You may also like to download Andy Android Emulator. On a conclusive note we can say that Android SDK is a very handy application for the developers who want to develop staggering Android apps. 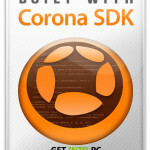 You may also like to download Corona SDK. Below are some noticeable features which you’ll experience after Android SDK free download. Handy and reliable software development kit. Can create awesome Android applications. Bundled with huge set of libraries and development tools. Need to have Eclipse IDE and JDK installed into your system. Can develop applications for older devices. 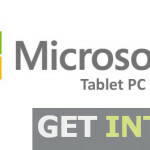 Before you start Android SDK free download, make sure your PC meets minimum system requirements. 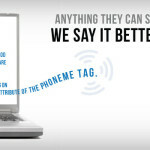 Click on below button to start Android SDK Free Download. This is complete offline installer and standalone setup for Android SDK. This would be compatible with both 32 bit and 64 bit windows.